Learn how to take control of your workload, manage your busy schedule, focus on your priorities, and make your workday more productive by attending Practical Time Management tomorrow! Select this link, click on the image above, or visit the Upcoming CLE page. Secure payment processing powered by Eventbrite. Visa, MasterCard, Discover, and American Express accepted. Program materials included in the $25 registration price. Wednesday, March 13, 2019 from 10:00 a.m. to 11:15 a.m. Pacific Time. This is a live, online webinar. Respecting the 80/20 rule, creating a daily plan, allowing buffer time, protecting your productivity, becoming a better estimator of billable work, staying on course with countdowns and weekly reviews, and more. Pausing new clients, scheduling a “catch up” day, letting go of non-critical projects, renegotiating deadlines, firing difficult clients, delegating, and outsourcing. Selecting where and how to start, getting motivated, experimenting with Pomodoro and the Power of 3, clearing the clutter, managing big projects, and overcoming distractions. Implementing client policies, automating forms and workflows, creating checklists, investing in practice management software, optimizing email and text messaging, and considering apps designed to boost focus and rescue billable time. Lawyers, office administrators, legal staff – anyone interested in improving organizational and time management skills. Discounts are available to firms who wish to register 5 or more attendees. Contact beverly@oregonlawpracticemanagement.org prior to registering. 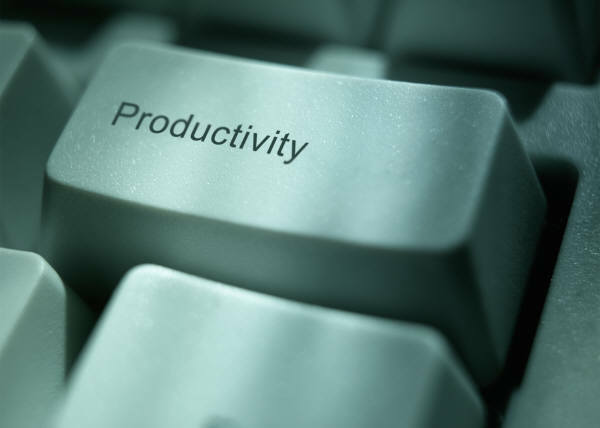 Learn how to take control of your workload, manage your busy schedule, focus on your priorities, and make your workday more productive by attending Practical Time Management on March 13, 2019. Click here, click on the image above, or visit the Upcoming CLE page. Secure payment processing powered by Eventbrite. Visa, MasterCard, Discover, and American Express accepted. Program materials included in the $25 registration price. Last week I promised to continue sharing the “best of” tips from the inaugural Oregon State Bar Solo & Small Firm Conference. Today I’m featuring Paul J. Unger of Affinity Consulting who gave practical, easy-to-implement advice on how to tame the digital chaos. Look for more content from the inaugural Solo & Small Firm Conference in future posts. Every year the ABA TECHSHOW brings together some of the best legal technology minds our profession has to offer. This year was no exception. Over the next few posts I’ll share what I learned at this year’s conference. Today: the best of 60 Tips in 60 Minutes. Office Ribbon getting in the way? Use Ctrl F1 to toggle it off (and on). If your computer crashes and you haven’t saved your document or spreadsheet, act fast to recover your document. In Word or Excel 2010/2013, select File > Info > Manage Versions to recover your unsaved documents. A blank Outlook calendar can be handy for coordinating with others, but how can you print one that doesn’t show scheduled court dates, client appointments, or other events? Easy! The steps vary according to your version of Outlook. Here are links to the instructions: Outlook 2007, Outlook 2010, Outlook 2013. Sometimes e-mail messages only show the sender’s name. If you want to see the full e-mail address, follow these steps: In the blue message header, mouse over the name, right click, choose properties > show full e-mail address. Need a system to follow-up on sent e-mails? Drag e-mails that require a follow-up to this destination. If desired, add a “code” to the body of your message like “wff” (Waiting For Folder). Create an Outlook rule that looks for this code and auto-files the messages that contain it in the Waiting For Folder. 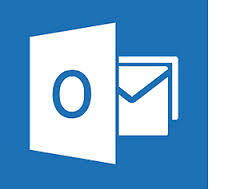 Set up a “Delegated Mail” folder in Outlook. Copy yourself on all e-mails that require a follow-up. Create an Outlook rule that checks messages when they arrive, looks for your name as the sender and for your name in the cc: box. Direct the rule to file messages that meet this criteria in a “Delegated Mail” folder. In Outlook 2010/2013, delete redundant e-mail strings by using “Clean Up a Conversation.” The clean up function removes the prior e-mails and keeps only the most recent message – which has the entire thread. How about a handy shortcut to an e-mail address? Create one right on your desktop. Right click, select New > Shortcut. In the “Create Shortcut” dialog box, type mailto: and the desired e-mail address. For example: mailto:joesmith@gmail.com (leave no spaces between the colon and the e-mail address). Click Finish. You can now send an e-mail to Joe directly from your desktop without launching Outlook. Download CodeTwo and never forget an e-mail attachment again. This free download looks for keywords in the body of your e-mail like “enclosed” and “attached” and reminds you to add an attachment before your e-mail is sent. Clean it up with Outlook’s cleanup tools. Choose File > Info > Cleanup Tools. Choose Mailbox Cleanup… to manage the size of your mailbox with advanced tools, empty deleted items permanently, or move old items to an archive folder. To prevent clients from forwarding e-mails or using “reply to all” inappropriately use this workaround to disable the functionality. Yes, a persistent user can still “copy and paste” the body of your e-mail into a new message, but disabling forwarding or “reply to all” tends to stop 99% of perpetrators. Work with clients or collaborate with colleagues in a different time zone? Follow these easy steps to add a second time zone to your calendar in Outlook. Looking for a secure flash drive? Here are three good options: Imation Defender F200 Biometric, Aegis Secure Key, CMS Secure Vault FIPS. Keep prying eyes off your computer screen with PrivateEye from Oculis. Using facial recognition, the software instantly blurs your monitor if you leave your desk or turn away. Wish you could monitor your servers remotely? You can with PC Monitor. Compatible with iPad, iPhone, iPod. Free for non-commercial use. Just as flash drives should be encrypted or protected with biometrics, lawyers should take similar precautions to secure external hard drives. Here are three choices: Lenovo ThinkPad USB 3.0 Secure Hard Drive, Aegis Padlock, CMS Secure Disk Vault. If you love connecting with friends and family on Facebook, but are worried about who might have access to your data, check out MyPermissions. Sign up to receive alerts when a Facebook app gains access to your personal information. Addicted to multiple monitors and wish you had one for the road? You can with the portable Lenovo ThinkVision LT1421 14″ widescreen LED travel monitor. Available on Amazon for under $200. Looking for a fast, simple solution for installing apps on your new computer? Try Ninite – directly download the most commonly used Web apps with no muss, no fuss. Everyone knows about the Fujitsu Scansnap s1500, but meet the new and improved kid on the block: the Fujitsu Scansnap iX500. Bundled with Adobe Acrobat Standard, supports scanning to iOS and Android devices, improved resolution, and improved paper handling. A work horse for under $500. Ideal for most solos or as a supplementary scanner deployed at workstations throughout your office. To avoid carpal tunnel, your keyboard must be appropriately positioned for your use. 3M offers quality keyboard trays that do the trick for around $160. Why is your fillable form blank? To “lock in” the contents of a fillable form, you must flatten the PDF. Here’s how in Acrobat 9. In Acrobat X or later, use an action. 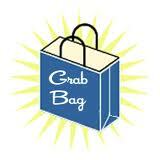 Shopping for the best cloud service to backup your data? Visit Backup Review or follow the site on Twitter @backupreview – new reviews daily. Splash happens. Want to waterproof your iPhone? Not a bad idea since water damage voids the warranty. Try Liquipel. Did you know that you can reposition the components of your LinkedIn profile to feature preferred content? By default, Experience, Skills & Expertise, and Education appear “below the fold” after Activity and Background. If you prefer a different sort order, simply drag and drop. As Oregon eCourt continues to transform how we conduct business at the courthouse more services are available via the Web. OJD Courts ePay allows parties to pay most traffic citations and many civil and criminal fees online. Jurors, attorneys, and case participants can retrieve information about courts, including hours of operation and directions. The best feature to come from eCourt transformation? The ability to retrieve court dockets online. Use the OJIN (Oregon Judicial Information Network) circuit court calendars to find calendar information for all Oregon circuit courts except Yamhill Circuit Court and the appellate courts. You can only search for the first plaintiff and defendant on a case. You can only search for the first three attorneys on a case, with the system first looking for attorneys on the scheduled event and then for active attorneys on the case. Search results will return the first 500 entries on the docket. Search by party or attorney. If desired, specify a date range. Choose -All Courts- or select a specific court. The Party Name and Attorney fields are case-insensitive and can be all or part of a name. For example, entering “John” in the Party Name field will give results of all the cases with “John”, “Johnson”, and “Van Johnson.” Names are stored in the same manner as in the OJIN system “Last First Middle” with no commas and one space between names. For example, Michael Jay Smith is actually stored as “Smith Michael Jay.” Searching for “Michael Jay Smith” will not find any results; however, searching for “Smith Michael” or “Smith M” or “Smith Michael Jay” will include the desired results. Use the Oregon eCourt circuit court calendars to view calendar information for Yamhill County Circuit Court (and in the future, other circuit courts as the eCourt transition continues). Select the drop-down menu to search by attorney, case, judicial officer, party or defendant name, and date range. Case categories include criminal, civil, family, probate, and mental health. (Check or uncheck as desired.) A CAPTCHA code is required to ensure that a human being is entering the search request. What you see on the screen will vary, depending on your search parameters. If you elect to search by case, you must have a case number. If searching by judicial officer, a drop-down appears permitting you to select a name off the list. Knowing how to search online court calendars can be a handy way to retrieve docket information in a pinch. If you lose your calendar or suffer a computer meltdown, you can easily retrieve upcoming court dates on the Oregon Judicial Department Web site.